-For many years, Richard Chernock has offered and sold homes, estates and condo's in the Westside, an exclusive community that attracts the entertainment elite, politicians and anyone else who seek an inimitable, relaxed atmosphere. Richard is a real estate agent whose track record is best defined by his dedication to personal service, with Richard you are sure to enjoy a very successful Brentwood real estate search. Richard's clients have found their dream houses in the California Westside to be more than incredible investments. The homes or estates they purchase have become beloved homes, where families stay for many years. 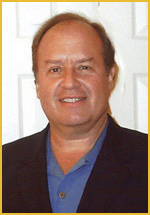 So if you are looking to pursue a property search in Brentwood, Richard is the right real estate agent for you. A Brentwood real estate search can prove to be quite the challenge since homes here move fast. But if you know what is available and perhaps more importantly, what may become available, you stand a good chance at securing your dream home in Brentwood. Richard's loyalty to his clients ensures everyone who works with him find easy access to luxurious, properties along the west coast. So if you are ready to embark on your Brentwood real estate search, make sure you call Richard Chernock to help make your Brentwood real estate search a success.